A change of scenery can be inspirational! 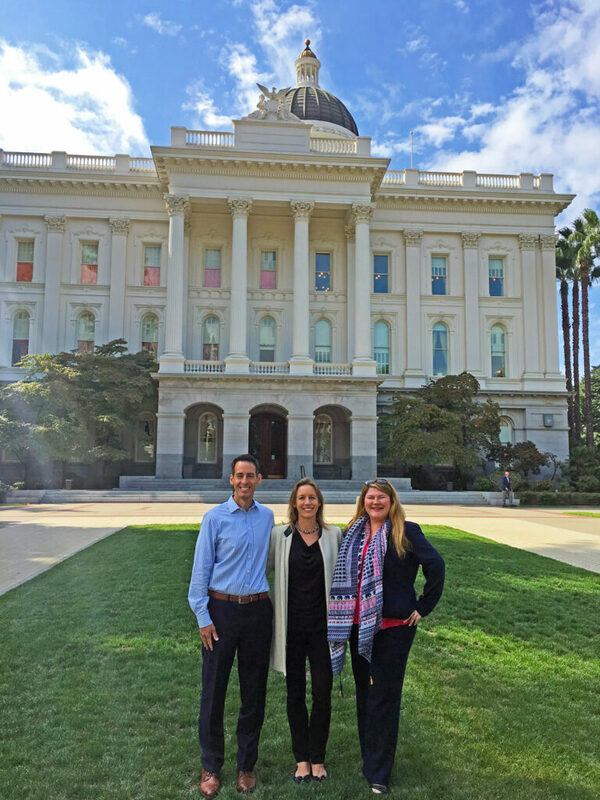 Three days in Sacramento last week at a League of California Cities conference proved tremendously valuable. 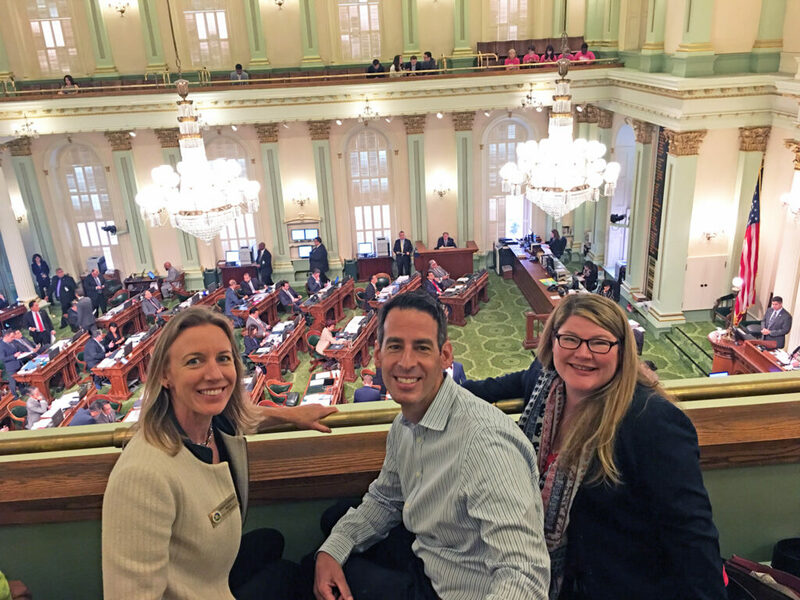 There’s a great benefit to the cross-pollination of ideas among city leaders about emerging civic issues such as the homelessness epidemic and marijuana regulations. Marijuana regulation is the major contested social issue in Encinitas right now, with strongly held opinions on all sides. Given the number of people who call, email and speak at City Council meetings on this topic, I’m planning a special City Council meeting dealing solely with the marijuana issue in the near future. Although many people advocate at City Council for and against marijuana dispensaries or storefronts, this aspect isn’t actually before us right now. The City Council directed a subcommittee consisting of Deputy Mayor Tony Kranz and Council Member Joe Mosca to hold hearings about whether to permit the commercial cultivation of marijuana on agriculturally zoned land. The last Adult Use of Marijiuana Act Subcommittee meeting is at 6 p.m. this Thursday, Sept. 28th at City Hall, 505 S. Vulcan, Encinitas. Share your opinion at this meeting! After that process is complete, the City Council will hold its meeting and vote on the cultivation issue. In addition to the city’s process, there’s a proposed ballot measure that would supercede the City Council’s decision. The Association of Cannabis Professionals (ACP) has filed an intent to circulate a petition aiming to let the voters decide how marijuana should be regulated in Encinitas. The submitted petition would allow up to four dispensaries in the city, in addition to the commercial cultivation of marijuana. I personally haven’t seen any signature gatherers in the city yet, which isn’t to say they aren’t out there. If they collect the required number of signatures by the deadline, the initiative will likely go to the voters for decision. 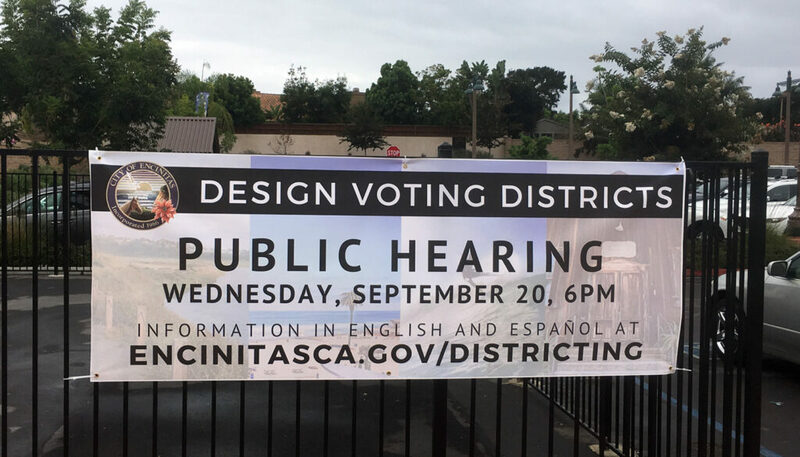 Last week we held the second of five public meetings focused on how to divide the city into voting districts. The process began after we received a threat of litigation under the California Voting Rights Act. You can design your own suggested map for the City Council districts yourself here. Each district has to be roughly equal in population, deviating by no more than about five percent. Preserving the essence of each community’s character is paramount, so we’ll be trying to figure out how best to draw districts with that in mind. I think it’s important to make sure that multiple City Council members have a stake in the success of capital improvements to the major north-south transportation corridors in our city – Highway 101, the I-5 freeway interchanges, the rail corridor, and El Camino Real. For example, it would be better to have consensus toward improving both Highway 101 and El Camino Real, instead of having one coastal representative competing for Highway 101 improvements against an inland representative advocating for El Camino Real improvements. It’s important to acknowledge great work when city staff goes into overdrive to get something done; and staff is doing an excellent job getting the word out, engaging as many residents as possible. I see signs, hear announcements at the weekend movie in the park, and read about districting on social media and in the newspapers. All community-created maps will be presented with numbers, not names, so submissions will be essentially anonymous. The third City Council hearing on this issue will be October 11th, and all maps are due by October 18th. The schedule for the meetings is here. For more background, here’s the Encinitas Advocate story, and here’s the Coast News story. Diving into the details of our nation’s history, with all its difficulties, is actually for me a refreshing respite from the real life conflict of daily local politics. It reminds me that the nature of the decision making process is essentially a conflict and compromise system, and that deep thinking and new ideas matter. Plus, it’s fascinating to know more about those who formed the foundation of this great nation. I also attended a Celebration of the 230th anniversary of the signing of the U.S. Constitution with actor Ian Ruskin who metamorphosed into Thomas Paine, the author of Common Sense, which helped inspire the American Revolution. Last weekend, we were thrilled to see Hamilton at the Hollywood Pantages Theatre. And three days later, we joyfully sang the entire 2.5 hour score with 2,000 of our closest “Hamilfan” friends at Moonlight Amphitheatre in Vista in what was effectively a massive karaoke Hamilton singalong. This fast-paced story about the revolutionary war period, the drafting of the Constitution, and the foibles and dramas of one founding father’s life stir my patriotism! If you have yet to catch the Hamilton bug, check it out. Hamilton reminds us that political pluck is worthy of admiration!